When Sri Lankan businessman Muzaffar Yaseen made just his second visit to an Australian thoroughbred auction house back in 1994 he was clearly a man with grand designs in place. Despite being something of a newcomer to the bloodstock market he splashed out A$500,000 on three yearlings, the bulk of which was spent on a sale-topping filly who set him back A$220,000. That top lot at the Melbourne Sale was a daughter of Canny Lad, whose half-brothers included the Group 1-winning two-year-olds Umatilla and Hurricane Sky. But, despite Yaseen’s six-figure statement of intent when purchasing the well-related filly, surely even he, with his best-laid plans, could not have envisaged the impact she would go on to have on his career in the bloodstock industry, and the wider Australian breed. That filly was Shantha’s Choice, who upon her retirement from the racetrack was bred to the great Danehill, a mating that produced not only a hugely talent racehorse but also the most dominant southern hemisphere stallion of his generation in Redoute’s Choice. Shantha’s Choice went on to earn blue-hen status having also produced the likes of Platinum Scissors and Manhattan Rain, as well as becoming the foundation mare for her owner’s breeding operation, which traded under the name of Teeley Assets. 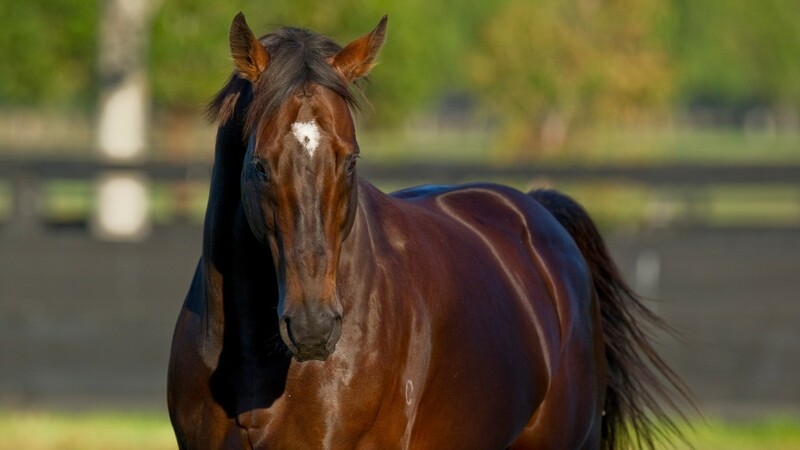 Upon Redoute’s Choice retiring to stud, Yaseen also acquired a collection of blue-blooded mares with whom to support the young stallion, and eventually his sons – a venture that led to him breeding the likes of Group 1 winners Lankan Rupee and Miracles Of Life. But, despite his broodmare band having created some fantastic families and the ongoing success of the bloodlines he had nurtured for some 20 years, in 2014 – almost two years after the death of his foundation mare Shantha’s Choice – Yaseen decided to call time on his career as a large-scale breeder. 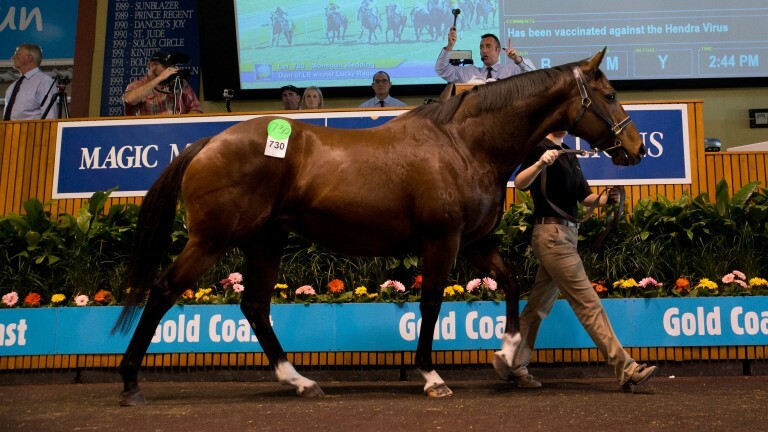 The lion’s share of his bloodstock portfolio was put up for public auction during that year’s Magic Millions National Broodmare Sale on the Gold Coast, with the dispersal comprised of 51 broodmares, 31 weanlings, five maiden mares and four yearlings. With a veritable who’s who of the bloodstock world present on the Gold Coast for the Teeley dispersal, Yaseen’s stock duly generated receipts of A$23,037,000. But the dispersal did not represent a conclusion for the Teeley lines – quite the opposite in fact – and with global powerhouses such as Coolmore, Newgate Farm, Stonestreet Stables and James Harron laying claim to the cream of the Teeley crop, we are beginning to see the next chapter of the Teeley bloodlines now that they have been carried far and wide. The wheels of the bloodstock world turn at an unhurried rate and, as such, any significant investment can realistically be expected to take a great deal of time to bear fruit. But the fruit that was harvested from the Teeley dispersal was just that bit more ripe than usual, and those who picked from its branches have already begun to be richly rewarded. John Moynihan, on duty for Barbara Banke’s Stonestreet Stables, was one of those present on the Gold Coast in late-May 2014, and the globetrotting agent did not walk away empty handed. 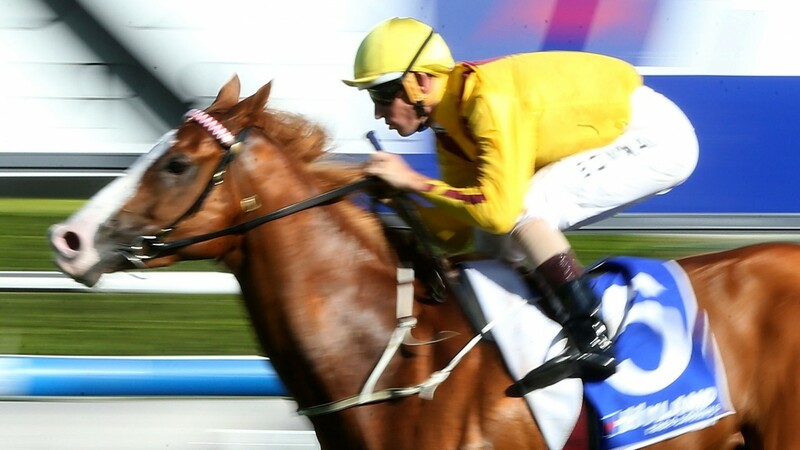 He secured Blue Diamond Stakes winner Miracles Of Life, a daughter of Not A Single Doubt, at $900,000 and her dam, the More Than Ready mare Dazzling Gazelle, at A$400,000. Stonestreet silks, before going on to add a second Group 1 to her CV in the William Hill Classic on her final outing before she retired to the southern hemisphere Stonestreet broodmare band. She has since produced a Medaglia D’Oro filly, and is due to be bred to the Darley shuttler again in 2017. Her dam, Dazzling Gazelle, has also more than justified her price tag. The More Than Ready mare was subsequently bred to Fastnet Rock and went on to produce a filly who became second-top lot at the 2017 Magic Millions Gold Coast Yearling Sale when bought by Coolmore for a cool A$1.2m. Coolmore themselves raided the Teeley dispersal, securing the top lot, Monsoon Wedding – a sister to Redoute’s Choice – for A$2.3m, and four other mares at a total spend of A$4.32m. The sale-topper was sold in foal to their own stallion, the two-year-old Triple Crown winner Pierro, and the resulting filly had clearly inherited the looks to back up her regal pedigree as she was sold to James Harron and Hubie De Burgh at the 2016 Gold Coast Yearling Sale for A$1.4m. Monsoon Wedding has since been exported to Ireland, where in 2016 she produced a colt by the operation’s linchpin stallion Galileo. Coolmore’s other purchases included Estelle Collection, Australian broodmare of the year and dam of Lankan Rupee, on whom they spent A$1.4m. Estelle Collection was bought carrying an extremely valuable commodity: a Redoute’s Choice brother to Lankan Rupee. The colt saw the Irishmen receive an instant return on their investment as he was sold to Gai Waterhouse, Julian Blaxland and Nordic Racing for A$1.8m at last year’s Inglis Easter Yearling Sale. The burgeoning Newgate Farm operation was among the most active buyers during the dispersal, signing for six lots at a combined spend of A$6.2m. The farm has also received a near instant return when it reoffered one of the Teeley mares, Cafe Scientific – a $650,000 purchase, with Dermot Farrington buying the daughter of More Than Ready in foal to Newgate resident Deep Field for A$775,000. Newgate have also offered a number of the yearlings produced by the Teeley-bred mares, with a Snitzel filly out of Your Life Style going the way of Rick Worthington for A$850,000, and a colt by the same sire out of Quench The First going to a partnership of WinStar Farm and the China Horse Club for A$750,000 during Magic Millions’ Gold Coast Yearling Sale. But such is the broad appeal of the Teeley bloodlines that it is not just in the southern hemisphere where they are in high demand, with John Sikura’s Hill ‘n’ Dale Farm securing a pair of young mares with Harron, namely Drifting Cube – who cost $1.1m – and Taste Of Heaven, a $1.5m acquisition. Both have since been exported to the US. The first foal produced by Drifting Cube, a placed Encosta De Lago sister to Coolmore’s young sire Rubik out of a Rock Of Gibraltar half-sister to Redoute’s Choice, and Taste Of Heaven, a winning Encosta De Lago half-sister to Redoute’s Choice, duly went down a storm at last year’s Keeneland November Breeding-Stock Sale. The pair of weanlings fetched a total of $1.975m, roughly what Sikura and Harron spent on securing the two mares. Drifting Cube supplied the most expensive weanling at the Keeneland sale, with MV Magnier parting with $1.45m for her War Front colt who it was reported would be put into training in Europe. Taste Of Heaven’s Medaglia D’Oro filly was bought by Julian Blaxland’s Blue Sky Bloodstock in partnership with the Fung family’s Aquis Farm for $525,000. Understandably, Yaseen could not have anticipated the impact his purchase of the Canny Lad filly would have. But, with the first green shoots of the next generation of Teeley dispersal stock now appearing in every corner of the globe, and Yaseen’s fingerprints being found on many of the pages of this year’s Magic Millions National Broodmare Sale catalogue, what is all too apparent is that that impact has developed quickly to become a dynasty.